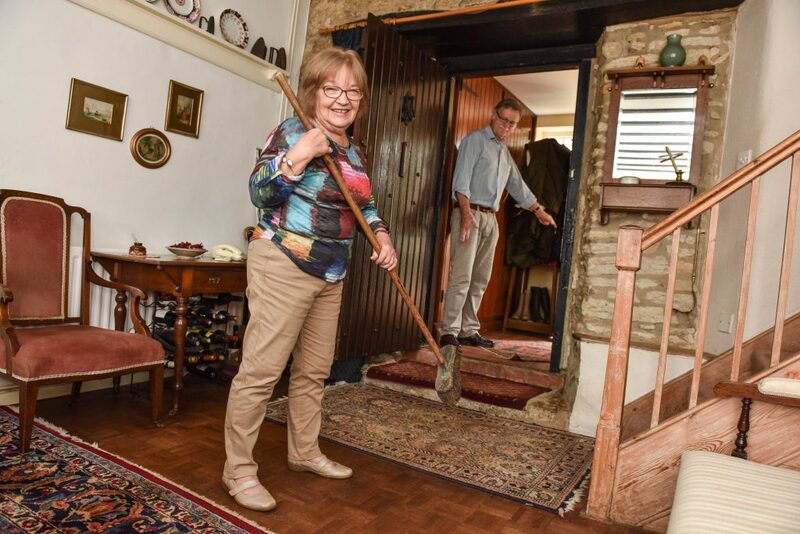 A pensioner was forced to fight off a snarling badger with a BROOM – after the creature snuck into his home and made its way up the stairs. Graham Rait, 74, thought one of his four grandchildren had left a stuffed toy on the landing of his home in Kettering, Northants. But when he went to pick up the black and white fluffball he was stunned when the ‘toy’ raised its head at him – and bared its teeth. Horrified Graham shouted for wife Hazel, 73, who snapped pictures of the woodland creature on their digital camera, before Graham chased it down the stairs with a broom. Graham, a retired company director, said: “I was absolutely gobsmacked – Badgers are supposed to be nocturnal. He was just sitting there curled up. “My immediate reaction was that it was one of my grandchild’s furry toys, but then it started moving. “I had to persuade him out with a broom – the poor badger was absolutely stinking. “They are dangerous, I wouldn’t have gone near it with my hands, It was showing its teeth. 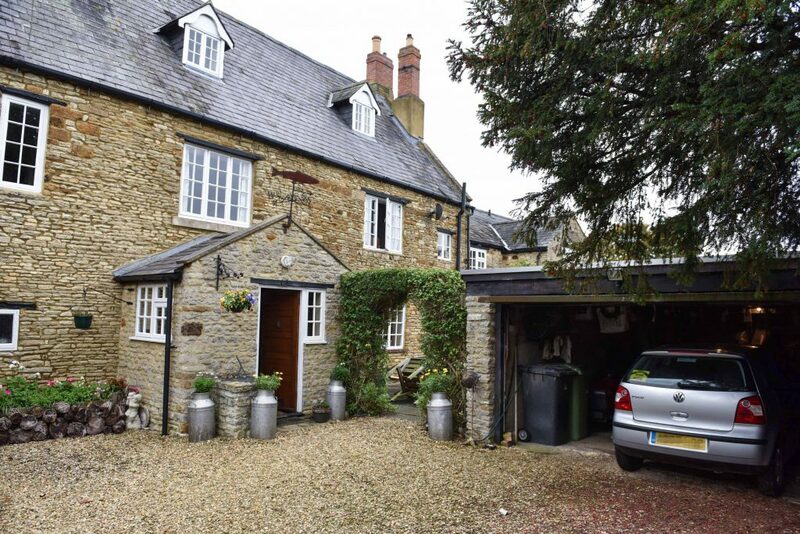 The badger is believed to have snuck into the couple’s home after they left their back door open for their Labrador, Pepper, to get back into the house. 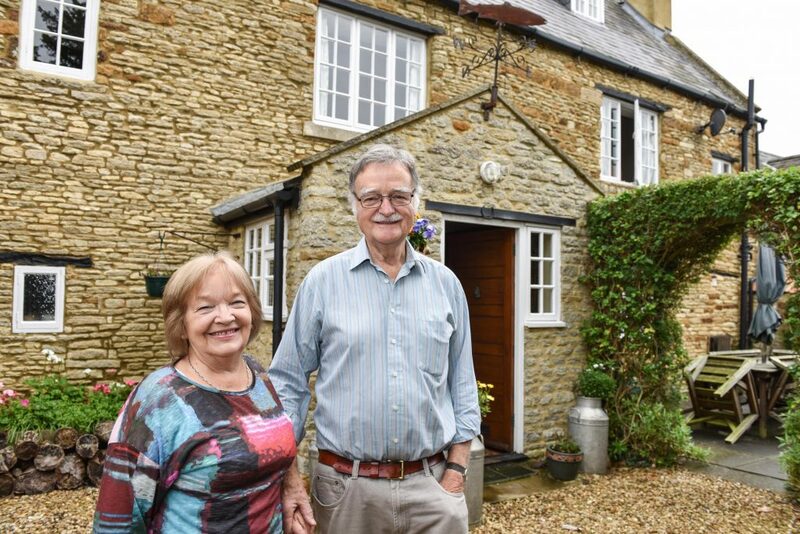 Hazel, a retired teacher, 73, had been sitting in the kitchen of the couple’s converted Roman barnhouse, where they have lived for 34 years, when the badger ran into the house behind her. She said: “I must’ve heard it going up the stairs but I thought I was our dog. I heard this thump thump, thump He left grime all up the stairs. “When I heard Graham shouting, I didn’t know what he was trying to tell me so of course I was worried. “I went to the bottom of the stairs and there it was. I couldn’t believe it! 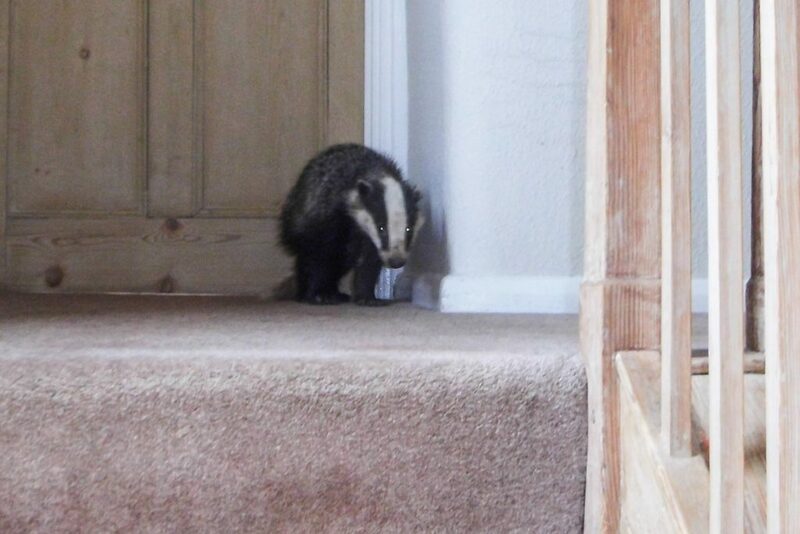 “The last thing I expected to see at the top of the stairs was a badger. After managing to shoo the animal downstairs with a broom, the badger made a beeline for Graham’s garage – where it hid and refused to come out. Relieved to have the beast out of the house, Graham called the RSPCA – and inspectors came to remove the badger. Graham added: “The man from the RSPCA said he had never heard of a badger coming into someone’s house before and that it was very unusual.